For project-based firms, the competition for new business is constantly increasing. As a result, the ability to win new business requires firms to produce powerful and convincing proposals. Here is a list of tips to improve your business proposal development process to help you increase your firm’s win rate. Create a Checklist – There’s nothing worse than completing a proposal and realizing that a required form or document is missing. 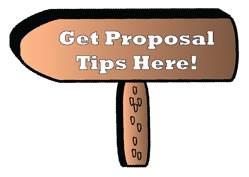 Start the proposal process by studying the request for proposal (RFP) and creating a list of requirements, forms and documents that have to be included when submitting the proposal. Identify Areas of Focus for Subject Matter Experts (SMEs) – It’s rare for companies to employ full time SMEs dedicated solely to the proposal team. In reality, SMEs have other responsibilities within the company that relate to their expertise, and the proposal team gets a limited amount of their time. Therefore, help them so they’ll help you! Identify and assign key sections of the RFP to the appropriate SME to allow them to maximize their time dedicated to the proposal team. Have a Kickoff Meeting – This is the time to bring together all contributors for the proposal to set expectations in regards to timelines, writing assignments, and writing guidelines. During this meeting, the team should discuss the win strategy and major themes, and how the proposal will differentiate your firm from the competition. Know When to Bid or No bid – Red flags, such as tight project timelines and rigid subcontractor requirements are indicators that the risks might outweigh the benefits. Additionally, red flags can present themselves at any moment in the proposal process. As a result, making the decision to no bid on an opportunity can happen during any point in the proposal development process. Learn more about the bid/no bid process here. Avoid Information Overload – More information doesn’t always make a better proposal. Instead, what ends up happening is important details get lost in all the added irrelevant text. If you desire to include additional or unrequested information, provide this in the Appendix. Avoid Stale Boilerplate Content – It’s likely that your company submits several proposals to the same client for different work. Additionally, certain content can become outdated and inaccurate. Use periodic reviews and rewrites of boilerplate content to keep proposals fresh and current. Create an Executive Summary that Wins – The executive summary should tell the reader how the proposal is organized by summarizing each key section. More specifically, the summaries should show that you understand the goals and expected outcomes, and also contain an overview of your firm’s solution. Keep in Touch with References – Checking in with references and saying thank you can go a long way. Let them know you appreciation their endorsement and tell them about future anticipated reference requests. Deadlines are set in Stone – When creating a timeline for the proposal development process, the internal deadlines are dictated by the deadlines in the RFP. Therefore, internal deadlines should not be treated as suggestions. Is your firm struggling to win more business? Gain a competitive edge by using these tips in your business proposal development process.